Keeping your elevator, escalator or moving walk functioning at its peak requires regular maintenance and occasional repairs. Our flexible service offering increases your system’s uptime while ensuring you meet your legal and operator responsibilities as well as standards such as EN 13015. Our highly qualified service technicians have decades of experience along with access to a worldwide technology network for third-party systems. 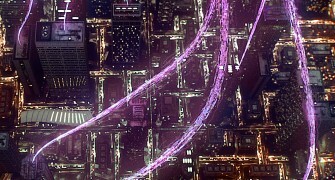 This enables us to deliver top-notch manufacturer-independent service for products from other companies. No matter the type of building, system or number of lifts, we have a service solution adapted to your needs, ensuring your lifts’ optimal performance at all times. Discover our made-to-measure maintenance contracts. Installation-specific requirements play a much greater role in effective maintenance and repairs for escalators and moving walks than for lifts. We offer individualised service concepts, fast and reliable replacement part delivery, cost transparency and budget security. Should your needs exceed the scope of a regular maintenance plan, we’ll create a customised escalator service offering, whether for a shopping centre’s system or an entire city’s public transport network. Besides lifts, escalators and moving walks, we offer services for many other products, such as passenger boarding bridges (jetways), lifting and loading platforms, stair lifts and hoists. 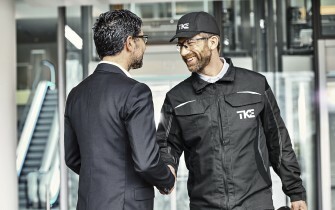 Through our global thyssenkrupp network, we provide cost-effective, reliable and energy-efficient solutions to prolong the life of your lifts and escalators. Our ITS specialists provide our service technicians with continuous training. This ensures that our technicians are familiar with all lift systems, the latest technologies and the best solutions to swiftly resolve all types of technical issues. We offer full service for all major lift manufacturers. You can count on us to provide top-class support for all kinds of lift systems. We’re your one-stop service shop. Lifts are in motion 24 hours a day, 7 days a week, which is why you need to be able to rely on a service team that’s on call around the clock. 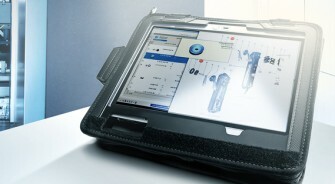 When required, ITS engineers will even come to you to solve the problem together with a local service technician. ITS not only has a large stock of spare parts from all major lift manufacturers, it also boasts a team of highly qualified repair technicians. From procuring rare original parts to delivering crucial replacement components overnight, we get your lift up and running again in no time at all. We invite you to visit one of our unique ITS facilities to witness our exceptional service for third-party lifts first-hand. 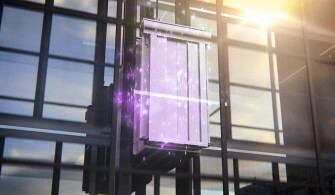 To find out more, contact your thyssenkrupp Elevator sales representative. Our goal is to dramatically increase efficiency, raise lift uptimes and speed up service interventions to ensure mobility equipment is always running as it should. 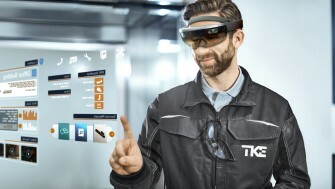 By harnessing the power of the Internet of Things with solutions like MAX and HoloLens, thyssenkrupp is stepping further into the digital era and transforming the way the lift industry offers maintenance services. Wouldn’t it be great to have fewer lift breakdowns, quicker service visits, and know in advance about any significant expenditure on your lifts? thyssenkrupp’s MAX, the industry’s first real-time, cloud-based predictive maintenance solution, is making this a reality. With MAX as their digital-age partner, our service engineers will soon be able to preemptively address equipment issues, empowering them to serve you better. Blending 3D holographic content with the physical world, Microsoft’s mixed-reality HoloLens devices will soon enable our engineers to take service interventions to the next level. With HoloLens, they can visualize and identify problems with lifts ahead of a job, and have remote, hands-free access to expert advice when on site, resulting in significant savings in time and stress.